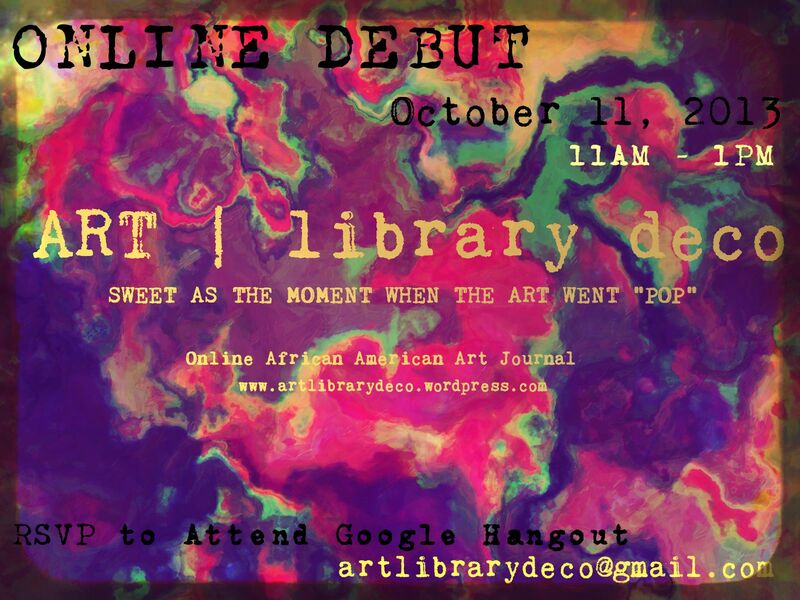 What: Google Hangout ART Viewing – Learn why, how, and when this African American Online ART Journal was created and its future endeavors in the art world. Find out how to get your work reviewed and published in ART | library deco and your website, museum, gallery, or studio added to our ART Blogroll. An invitation with specific details regarding the VIRTUAL EVENT will be sent to each participant. *Feel free to invite others by sharing the email address provided in this invitation.